Egyptian Ministries are taking part in the conference to exhibit their e-services that aim to make procedures easier for citizens. Organizer of Cairo ICT Trade Fairs International announced that several ministries and government entities will take part in Cairo ICT 2015. The participants include ITIDA, Egypt's Post, Ministries of Planning, Housing, Justice, Interior, Electricity, Tourism and Water resources. They will exihibt the e-services offered by the government that will help make lives of Egyptian citizens easier. The fair will take place between 13-16 December under the slogan "Go Smart" under the official sponsorship of Mobinil, a company of Orange group. Head of Trade Fairs international Hossam Saleh expressed his satisfaction with the level of participation in this year's fair whether from government entities or international and local companies there more than 500 participants this year. 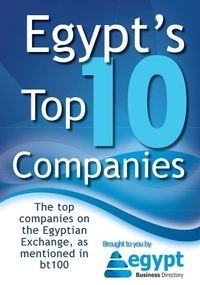 Vodafone, Microsoft, Oracle Sisco, EMC, SAP, Canon, Xerox, Samsung, Huawei, Dell, Telecom Egypt, e-finance, DMS, CCC and many others are among the participants. Many Civil organizations and SMEs are also taking part.